Staying cool and fresh has never been so easy! The Mens Fairford Shirt is made of organic cotton and cooling lyocell fibres, which are derived from wood. These natural fabrics have the advantage of being particularly kind to the skin, with the polyester ensuring quick drying, easy–care performance. 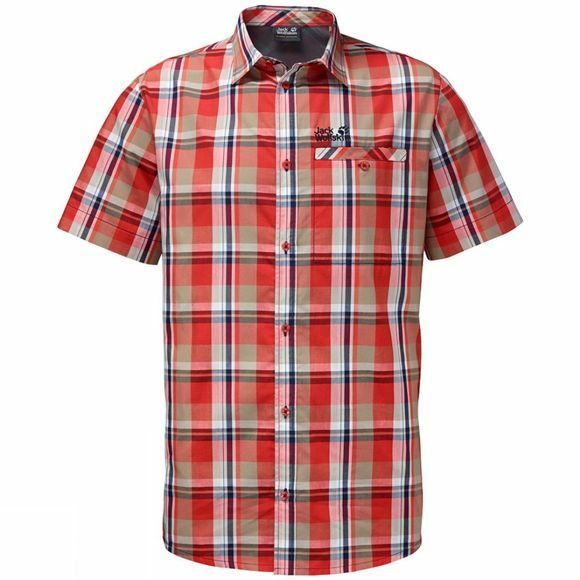 This makes the Fairford the ideal shirt for warmer temperatures and multi–day hikes. Air vents at the back help keep the skin cool.